Within this section, you will find details of how the healthcare system in Lithuania is set up and operates. Sign up for an IMTJ Country Subscription for access, or login if you're already a subscriber. Within this section, you will find details of how state and privately funded health insurance in Lithuania work. Sign up for an IMTJ Country Subscription for access, or login if you're already a subscriber. Within this section, you will find information on medical tourism numbers, our estimate of inbound and outbound medical tourists (where they can be reliably ascertained) and news that provides estimates of medical tourism activity in Lithuania. Sign up for an IMTJ Country Subscription for access, or login if you're already a subscriber. Should Lithuania target Eastern or Western Europe? Find hospitals and clinics, agents and facilitators, services and other organisations operating in the medical travel industry that are based in Lithuania. 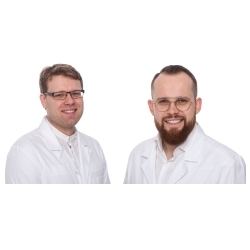 Conveniently located in the heart of Vilnius in Lithuania, Dental Harmony is a state-of-the-art dental clinic offering a comprehensive range of modern dental services, including cosmetic and restorative dentistry, from an experienced multidisciplinary team. Treatments available include dental implants, All-on-4,Trefoil, DSD (Digital Smile Design), CAD/CAM designed crowns and bridges, treatments with full anaesthesia, dental veneers, 'Invisalign' clear aligners, ‘Incognito’ hidden braces, teeth whitening and periodontal plastic surgery. The clinic also provides a full range of general dentistry services for adults and children. Based at Lithuania’s leading private hospital, Kaunas Plastic Surgery offers a wide range of cosmetic surgery procedures including breast augmentation, endoscopic facelift, stem cell transplantation surgeries, facial rejuvenation by fat transfer, buttock augmentation and body contouring from two highly qualified and experienced plastic surgeons, Dr Tautvydas Urbonas and Dr Andrius Pajeda.